An overcast day at a local harbour. I needed to inject a little colour! 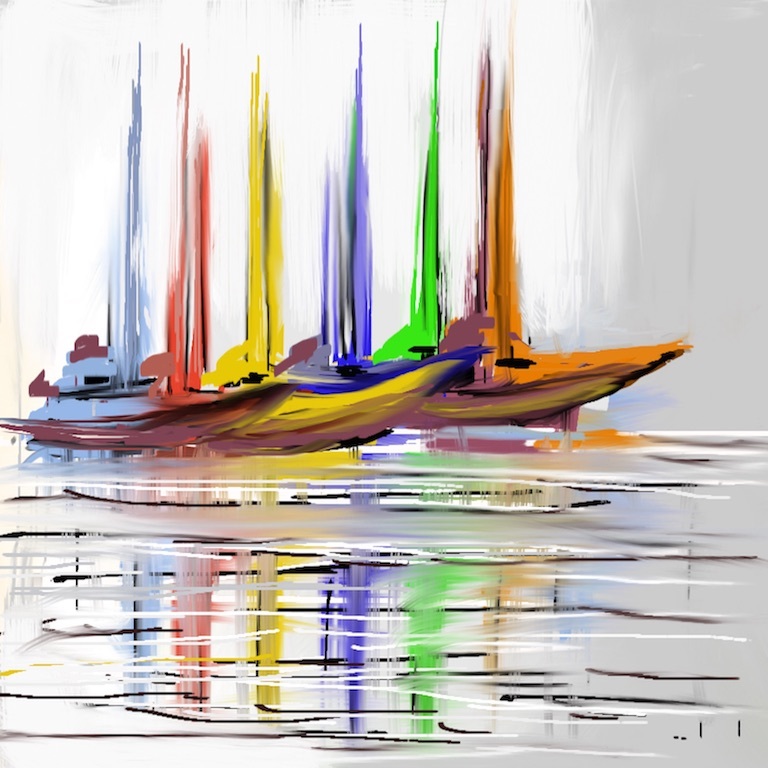 An abstract expressionist work features boats against a grey sky and sea; the reflections adding symmetry.